Michigan Sue, who also attended our Beginning Banjo Camp last fall, thoughtfully provided me with today's title. Sue has made a lot of progress in the nine months since "Baby Banjo Camp" and I congratulated her on it. Whereupon she uttered this amazing sentence: "It finally dawned on me to start listening to bluegrass! It's made a huge difference." I thought that was profound so I grabbed a marker and wrote it down. Another woman added that she had been listening to bluegrass on Sirius Radio in the car "all the time" and pointed out, "It soaks into you!" Indeed it does! Here's a short list of some of the albums I think are essential to listen to if you want to start developing an understanding of the bluegrass repertoire. Foggy Mountain Banjo (the Bible of bluegrass banjo; all instrumental) Yikes! I didn't realize this was so COSTLY! It's really, really good, so I would pay the $30 for a used copy. But, maybe with some hard looking, you can find one cheaper. Songs include: Cripple Creek, Cumberland Gap, Lonesome Road Blues, Fireball Mail (all these taught note-for-note on our two Beginning DVDs), Sally Goodwin, Ground Speed, Home Sweet Home, Reuben (all taught on various DVDs), along with Sally Ann, Little Darlin' Pal of Mine, Bugle Call Rag, and John Henry. Maybe you can shop for these individually. Any versions would be good to listen to, but Earl's are THE BEST! Foggy Mountain Jamboree (Earl's tuner songs and some classic vocals) Still available at a reasonable price. Flatt & Scruggs: The Complete Mercury Recordings: I just remembered (thanks to Google) that these amazing recordings have been reissued. This album is worth it for two songs: The original recording of Foggy Mountain Breakdown (please listen to it!!) and Roll In My Sweet Baby's Arms (ditto). Earl at his best! All the other songs are fantastic, too, but most have now become what Eddie Stubbs calls "deep catalog." Which means they are not likely to be played in an intermediate jam but very likely to be played in a jam with a group of Scruggs fanatics like me and Casey and Red and Chris and Mike and John, and Hig and the Flint Hill Flash! The Bluegrass Album Band: All volumes have good material, but the first album, The Bluegrass Album (1981) andBluegrass Album, Vol. 2 (1982) are the strongest for initial learning purposes. The Original Carter Family: Look for CD releases that have these songs on them: Bury Me Beneath The Willow, John Hardy, Crying Holy Unto The Lord, Will the Circle Be Unbroken, Worried Man, etc. I found the Original Carter Family a little hard to listen to at first, but they are worth learning to like! And for words, this is about as "authentic" as you can get! And Sara Carter is a fabulous lead singer! And Mother Maybelle's lead guitar playing is so good that even Earl (and everybody else) wanted to copy it! And finally, if you've got tons of money to spend: Flatt & Scruggs: 1948-1959 (4CDs). This is the Bear Family Boxed set. Great music, great liner notes. Big price. Of course, listening to any and all bluegrass is a good thing! You may be asking, "Where is Bill Monroe? Where is Jimmy Martin? Where are the Stanley Brothers? Where are Hazel and Alice? Where is Wilma Lee Cooper? Where is the Stoneman Family?" You get a gold star if you even know who these people are! And all these folks are great to listen to. (The Stanley Brothers are probably my all-time favorites next to Earl!) 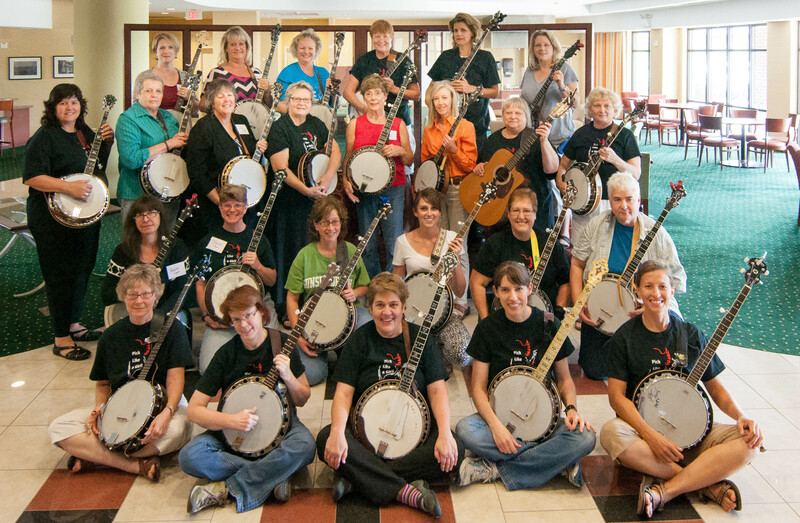 But, as beginning bluegrassers you can't digest it all at once. So, my list is quite banjo-centric with Earl in the first three slots and the last one, and J.D. Crowe, who played the banjo on the Bluegrass Album Band discs, in the third slot. Monroe and the Stanley Brothers can be a little hard to appreciate initially, so I'd save them for your second round of listening. And Hazel and Alice are awesome, especially their original songs, but even their hard-core bluegrass material, generally speaking, is not your standard three-chord, easy-to-play bluegrass. Again, though, listen to it all. My suggestions are just for starters. Where to buy this music? Let me give a shout out to County Sales, the long-time bluegrass record distributor from Floyd, Virginia. They are online now and have tons of Flatt and Scruggs material, including lots of "live" shows on CD and TV shows on DVD. They are incredibly knowledgeable about the music and you can put your trust in their descriptions and evaluations. Founder Dave Freeman is in the IBMA Hall of Fame. I also found their website easy to get around on, which is a big plus to me! But there are also plenty of other good, online places to shop. And I know many of you will be downloading these songs, which is great! So, enjoy your foray into listening to some early bluegrass. It is this early three-chord bluegrass that makes this music "accessible" to anyone with a guitar and banjo and the willingness to do the work. Notice I didn't say "easy," I said "accessible." And the more you listen, the more you start to hear. Dig in! Thank you again for another awesome camp. My brain was so fried Sunday that I went to bed at 8:00! Ok maybe, staying up jamming until the wee hours and quenching the constant thirst that causes may have contributed to the fatigue…. 😉 Looking forward to Women’s Jam Camp in 2 years! Hi Murphy! I recently bought your beginning banjo DVD and am trying to learn. This is a great post. However, do you (or anyone else reading this) know where you can find Earl’s Bluegrass Banjo CD? I can’t seem to find it anywhere. I can find some old LPs of it on eBay for like $100. Sorry, I meant his Foggy Mountain Banjo CD in the previous post. 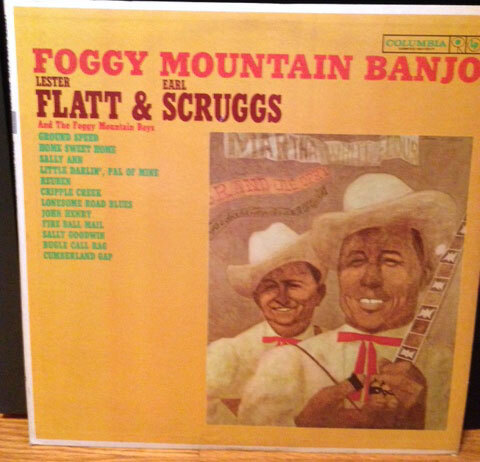 . .
Flatt and Scruggs, The Complete Mercury Sessions – recorded in 1948-49 and reissued in 1992 by PolyGram Records. 28 songs. Flatt and Scruggs At Carnegie Hall – recorded live in 1962 and reissued by Sony (Koch) in 1998. 32 songs. Also, if you are listening on Sirius, AM/FM radio, or web-broadcast and are a beginning player, you will hear a lot of “far-out” progressive/newgrass/very modern arrangements and playing. Don’t get distracted or intimidated. Stick to the bedrock music as Murphy suggests and teaches and you will begin to develop a feel (an ‘ear”) for the music that will carry over into your practice and playing.